In the short term, artificial grass will cost more than live grass due to the higher installation costs. 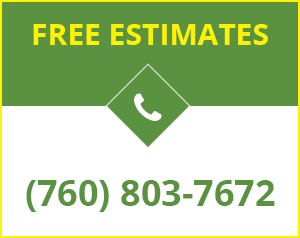 However, over time artificial grass will allow you to reap considerable savings by eliminating the need for watering, mowing, weeding, and lawn treatments. At Green Turf, we help you find the best prices in the industry with products starting as low as $4.25 to $5 per square foot. How Long Will My Artificial Grass Last? Officially, most manufacturers estimate their artificial grass will last for 8-15 years. However, we have seen artificial grass last for much longer. It all depends on the quality of the product you choose, how heavily you use it, and how well you maintain it. How Do I Take Care of My Artificial Grass? All you have to do to keep your artificial grass looking its best is rinse it with plain water to remove dust and dirt, and brush it to help keep the blades upright and prevent matting in high traffic areas. If the grass becomes soiled due to a spill, you can clean it with a solution of 50 percent white vinegar and 50 percent water, then rinse it with plain water. Yes. Artificial grass is actually an excellent option for people who want to keep their yard neat and green while still allowing pets to play on it. Pets won’t be able to dig holes in the artificial grass and they will never come in with muddy feet after playing on it. Pet urine will not stain artificial turf, and with anti-microbial Durafill infill plus proper cleaning, you will not have problems with bacteria or odors. How Do I Clean Pet Turf? Cleaning up after your pet does their business is actually pretty easy. Simply find and remove all solid waste, and treat the area with an enzyme cleaner or vinegar. Since liquid waste can be hard to find, it’s best to assume your pet is using the whole yard and rinse everything with plain water every so often. Setting up a sprinkler is an easy way to do this. What is Infill and Why Do I Need It? Infill is a granular material that sifts down in between the blades of the artificial grass to help hold the backing in place and to encourage the blades to remain separate and upright. Depending on the type of infill you choose, it can also affect the impact response of the surface, help keep the grass cooler in direct sunlight, and help prevent issues with odors. We offer Durafill infill, sand, and crumb rubber. Durafill is type of infill consisting of green acrylic-coated sand. The green coating helps it blend in with the grass, and at the same time keeps the grass from being abraded by the granules. Durafill is anti-microbial, so it will not harbor bacteria or odors. It absorbs less heat than regular sand, which helps keep your artificial turf cooler in the sun. Durafill is long-lasting and durable and will not need to be reapplied during the service life of your grass. Does Artificial Turf Come with a Warranty? Yes. 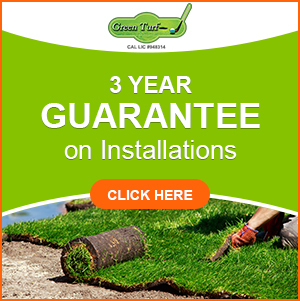 TigerTurf artificial turf comes with a 15-year limited warranty to give you peace of mind against defects. Copyright © 2019 Green Turf. All Rights Reserved.